You’ve heard about “smart” thermostats and how they are revolutionizing homes around the world. But are they really worth it? Do they provide that many advantages over traditional thermostats? And is it really worth spending the money and time replacing your current thermostats with smart ones? We’re going to break it down for you. First things first: how do thermostats even work? Traditional thermostats have simple, scientific principles behind their functions. The device controls the heating and air-conditioning systems in your house by monitoring the surrounding temperatures and then turning the HVAC systems on and off accordingly. A thermostat is unexpectedly simple while containing some cool technology. Thermostats made in the past two decades are nearly all digital, but traditional, non-digital thermostats can still be found in older homes. Most traditional thermostats have a mercury switch — a glass vial with a small amount of liquid mercury inside. The mercury conducts electricity and flows like water. The glass vial contains three wires. One wire crosses the bottom of the vial, maintaining contact with the mercury. One wire makes contact on the left side of the vial and when the vial tilts to the left, the mercury hits it, making contact between this wire and the one at the bottom. The third wire makes contact on the right side of the vial, and when the vial tilts right, the mercury makes contact between this wire and the bottom wire. These contacts are how your thermostat determines when to turn on the heat and when to turn on the cool air. In the late 90s, traditional thermostats started being replaced with programmable thermostats. The next step up the technological ladder is the programmable thermostat. These are an improvement over manual models as they automatically adjust the temperature in your house during the day. They have multiple programming options that you can set depending on your preferences and schedule. For those who work from home, a daily program is the best. If you work a regular, 40-hour work week, the programmable thermostat can turn off the HVAC system while you work and turn it on before you get home. Why would you want to upgrade to a Smart Thermostat? It’s all about automation and learning. 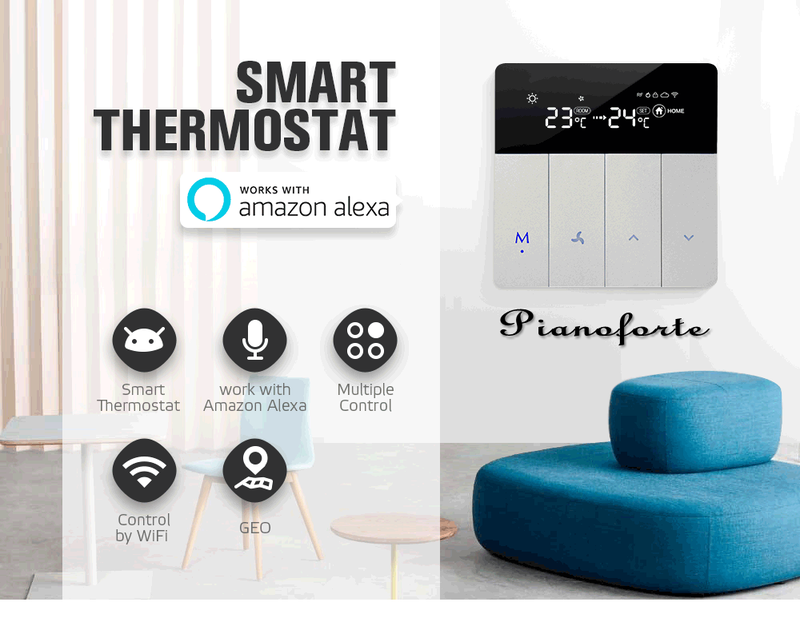 Smart thermostats learn from your cooling and heating behaviors, let you control the climate at home remotely, can display energy consumption in real-time, and can even make adjustments to your system based on ambient conditions (humidity, for example). Compare this to all the manual adjusting and programming that must be done with standard thermostats. Like the programmable thermostat, most smart thermostats can shut off the HVAC when you leave and start it again before you get home. It can also show you how long it takes to make adjustments so you can see how effective your climate control system really is. You can even manage smart thermostats from your phone. Smart thermostats even offer statistical data about how your home climate is managed. You can access information about how long it takes to heat your house, what time of day you use the most energy, and it can even suggest ways to cut down your energy consumption. When you use a smart thermostat correctly, you can reap huge savings on gas and electric bills. Since smart thermostats came on the market, all smart thermostat manufacturers are making savings claims, saying you’ll save anywhere from $10 a month to a yearly average savings of 23%. Your current energy usage. Do you leave the heat on constant all winter or do you dial it down in the evenings and when you leave for work? If you use a lot of energy because you run a consistent temperature year-round, you may see a decrease in your energy bills by letting a smart thermostat manage your system. While you can’t control the cost of utilities in your area, some utility companies will help pay for an upgrade to the thermostat. The potential for savings also depends on the climate you live in. In the Midwest, for example, heating starts in October and lasts until April or May. June through September are the months for air conditioning. However, in the Pacific Northwest, heating a home is considerably cheaper and you don’t even need AC most of the time. You would also need to consider the size and condition of your home. Big houses are more costly to heat and cool. The level of insulation you have will also affect how often the temperature of the home will need to adjust for optimal comfort. So, Are Smart Thermostats Worth It? There’s a lot to think about when deciding whether to install a smart thermostat. This includes which smart thermostat control you choose, whether or not you take advantage of all the features offered, how well insulated your home is, and what type of heating system you have installed. For people with a busy lifestyle, being able to program their thermostat is a win. When you have a regular routine, some of the smart heating thermostats will learn your routine and keep your home comfortable year-round. Using thermostats properly can save you at least a 10% each year on your energy costs. Implementing temperature changes for different times of the day will give you optimum results and prevent unnecessary energy usage. Year to year seasonal variation will affect your cost savings. You could move from the coldest year on record to the warmest and not see significant savings. “Since even a smart thermostat works well on proper assumptions, if your area has unpredictable seasonal changes, it may not be able to generate much savings” (TechWalls.com).